FAQ City: Why All The Abandoned Cars On Charlotte's Highways? WFAE listener Chris Broughton and his family wrote in wondering why Charlotte seems to have so many abandoned cars left on the side of the highway. "I noticed it, I think, as soon as we got here two years ago," he said, "I swear there's more than other places I've been. We've driven down to Florida and we go all the way up to Ottawa, Canada, fairly frequently, and neither of us has noticed quite so many cars as when we hit Charlotte." Maybe it was heat-related, he thought. His family arrived in the summer, and his car's air conditioning and transmission could barely keep up in the Charlotte heat. But as summer gave way to fall and winter, the number of abandoned cars he could spot on the side of the road remained constant. Did it have something to do with the roads? Or Charlotteans' lack of car maintenance? Or something more sinister? "I thought, maybe, I'd stumbled on a conspiracy involving WFAE's Car Donation Program," he joked. No conspiracy, we swear. But if that's not the reason, what is? On this episode of FAQ City, we gauge how bad Charlotte's abandoned car problem is by talking with experts at a local truck stop. 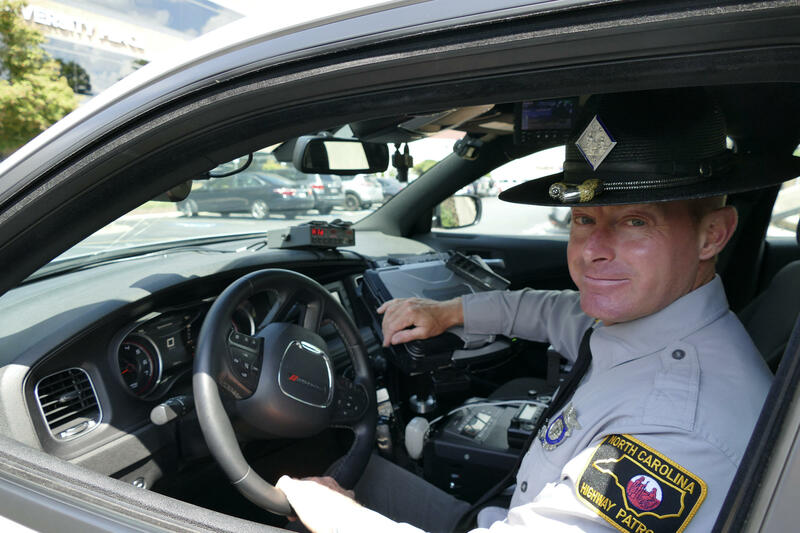 Then we check in with the North Carolina Highway Patrol to learn a few very real possibilities for why Charlotteans can spot so many cars on the side of the road, and what the Highway Patrol has begun to do about it. Special thanks to Trooper Ray Pierce of the State Highway Patrol, and to the truck drivers we spoke with, including Issac Brown, Trevor Sharpe and Mark Austin. If you have a question about Charlotte that you'd like us to look into, let us know! Submit your question in the box below and we may just search for an answer on an upcoming episode! While you're at it, make sure to subscribe and rate/review the podcast on Apple Podcasts, Spotify, NPR One, and Google Play.